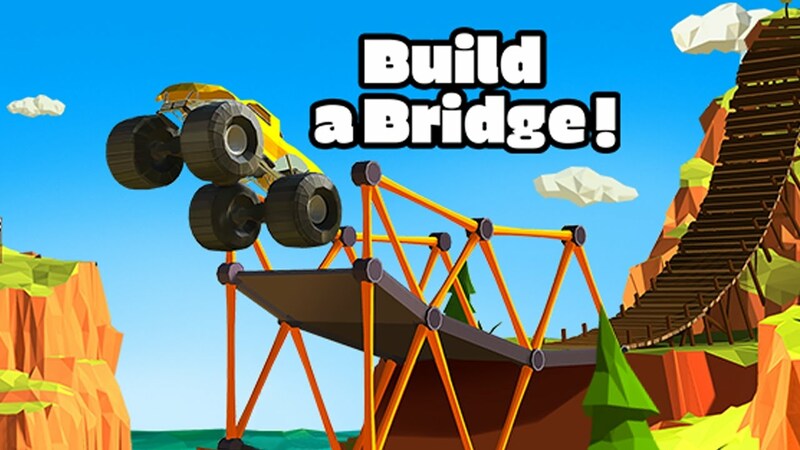 Build a Bridge from BoomBit puts your engineering skills to the test, albeit mobile game style. There’s a vehicle which needs to move from point A to point B, but there’s a gap between it so what you do is use a graph paper to create the bridge and see what happens. Doesn’t sound like much, but it’s actually an addictive puzzle / builder that will keep you playing. Tapping and swiping to create the bridge isn’t that hard, but the tricky part is making the bridge good enough for the vehicle to cross on. The first few times the bridge will probably collapse, but you can always try again, as the key to success is to build a bridge while using as few materials as possible. The early levels are easy enough, but it gets more challenging later as the gaps get wider and you have to use hot air balloons and other means. The good news is you’ve got the materials available right at the first level: steel, wood, cable, road and other stuff are there. Just tap to use a material and connect the pieces to build the bridge. There are two modes: Classic and Sandbox. You start with Classic and once you get 3 stars you’ll be able to play in Sandbox mode. In Classic mode you’ve got a fixed budget, so you’ve got to manage your money, while in Sandbox you’ll be given specific goals you’ll need to complete. There’s also an Easy and Normal mode, great if you haven’t play games like these before. So if you’re into puzzles and the like, check out Build a Bridge.